*A special, extended edition of Sebastian Meissner's meditation on film music* Movies Is Magic features five tracks from the original digital edition (available on vinyl for the first time) and a further five brand new or alternate versions. Perhaps the most notable development here is the introduction of vocals on three cuts. Guest artists Ursula Maurer, Marta Collica and Hugo Race of Nick Cave & The Bad Seeds all add an extra dimension to these cinematic compositions, and in a strange, rather maudlin fashion, we can hear Klimek shifting towards a kind of midnight pop music. The loungey tones of 'Movies Is Magic' open the album, with Ursula Maurer crooning her way through a faded assemblage of sampled strings. Better still is the Marta Collica-fronted 'Rimani Tu', which feels like Leyland Kirby remixing a Portishead record. It's all wonderfully elegant and lavish, imbued with an air of eroded grandeur. 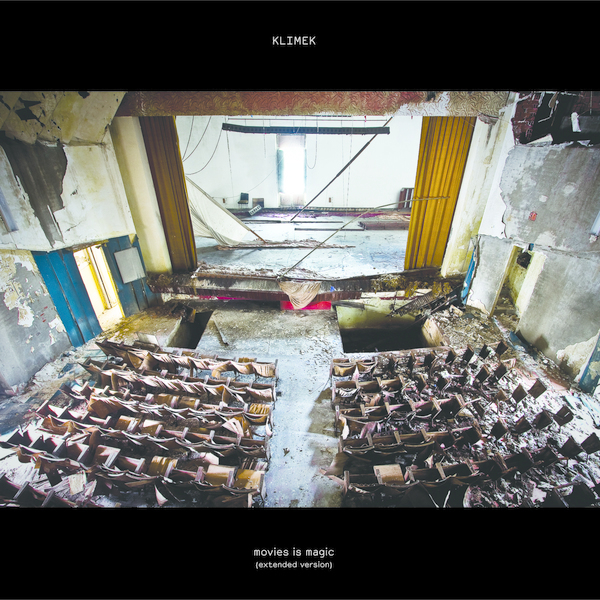 As for the Hugo Race piece, 'Into Zero', well that's surely the biggest surprise of the lot: Klimek's antique cinematic orchestrations collide with mid-tempo house beats, making for a ghostly and unexpected floor-filler of sorts. The instrumentals sound every bit as excellent as they did first time around on the original release, and the addition of tracks like 'Reality Is A Warm Gun' and the alternate (some might say improved) version of 'For Whom The Bell Tolls' helps elevate Movies Is Magic to a higher plain. This album has become a rather different listening experience, even if its subject matter remains very much immersed in the same sort of themes, but certainly this vinyl reissue hints towards a potentially winning new direction for Klimek. Recommended.